We finished season 1 of Dan’s Dresden Files campaign so it’s time to talk about how it went. This campaign was unique because Dan managed to wrangle two separate groups of players into a single plot line that escalated as the game progressed. 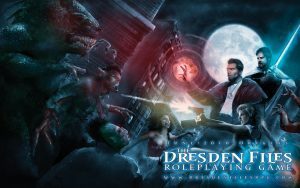 We talk about how that worked and what we thought about the Dresden Files RPG game mechanics. If you want to learn more about running Fate system games or the Dresden Files as a setting, check this episode out! If you missed any of the episodes, use our campaign page to find all of Season 1’s episodes. News: Check out the Red Markets campaign page. All of the episodes of the campaign are linked for easy access. 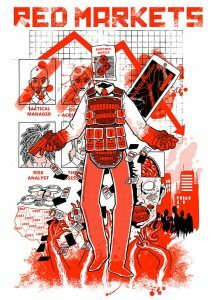 Synopsis: The first Red Markets campaign is done, so we had to talk about it. 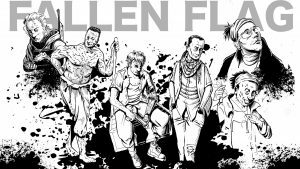 Caleb, Aaron, Tom, David, and I talk about the concept for the campaign, how we came up with our characters, and what worked and didn’t work. Find out what rules changed in the game as a result of this campaign, what was unexpected and what our favorite moments were. It was a fun and lengthy discussion, so no shout outs or anything else with this episode. See you at Gen Con!